Working with lead consultants RDHS (now ConsultCIH) and Shared Intelligence, we are responsible for the development of a spatial framework which will play a major role in generating and structuring opportunities for private sector investment – effectively stimulating and accelerating market interest by creating developer confidence and certainty. The spatial framework of the Central Workington Development Strategy will include action proposals for the town centre, the quay, the Cloffocks, Workington Hall and the Portland Square Conservation Area. 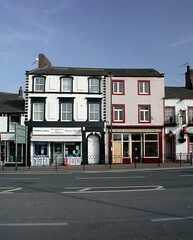 Workington is an ancient market town dating from Roman times but its image as an industrial town was established in the 18th century when it became a major iron and steel-producing centre. Local deposits of iron ore and coal, plus good access to the Irish Sea, allowed Workington to expand rapidly and become a major industrial town and port. 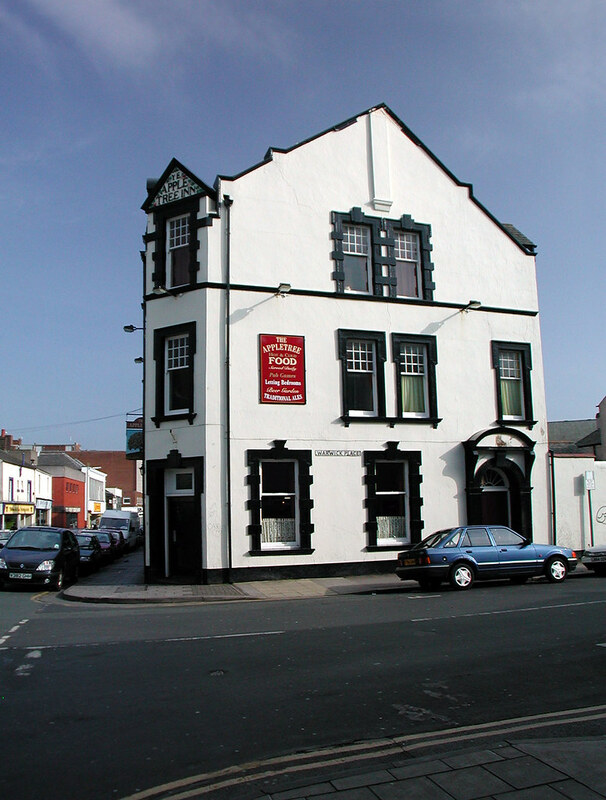 The town grew in an east-west orientation along the edge of high ground overlooking the floodplain at the mouth of the River Derwent. Today the basic structure of the town is still strongly influenced by the physical landscape and some of its most distinctive characteristics are a result of the unique relationship between the natural and built environments. This is perhaps most evident in the picturesque composition of the intricate and densely built up elevation of the town running along the escarpment looking down over the open grassy plain of the Cloffocks towards the river. 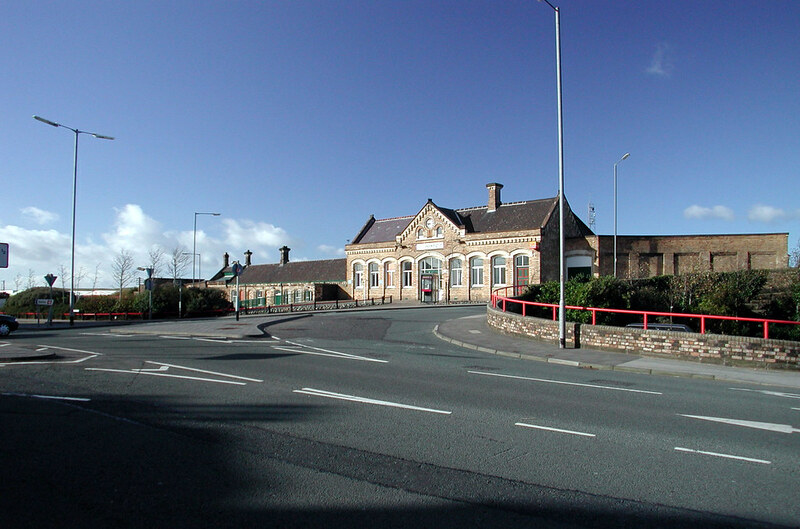 Central Workington is a linear area, running from the Portland Square area in the east along two main spines – Pow Street/Finkle Street/South William Street/Fisher Street and Jane Street/Oxford Street/Station Road – to the station in the west. The heart of the town centre is some way east of the centre point of these axes, where the main shopping area lies, between Vulcan’s Lane and Washington Street. Industrial and harbour areas to the west are separated from the town centre by the definitive barrier of a railway line, whilst housing and industrial areas to the north are separated from the town centre by the river. 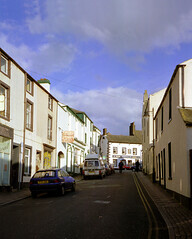 To the south and east, however, residential areas spread gradually out from the town centre. 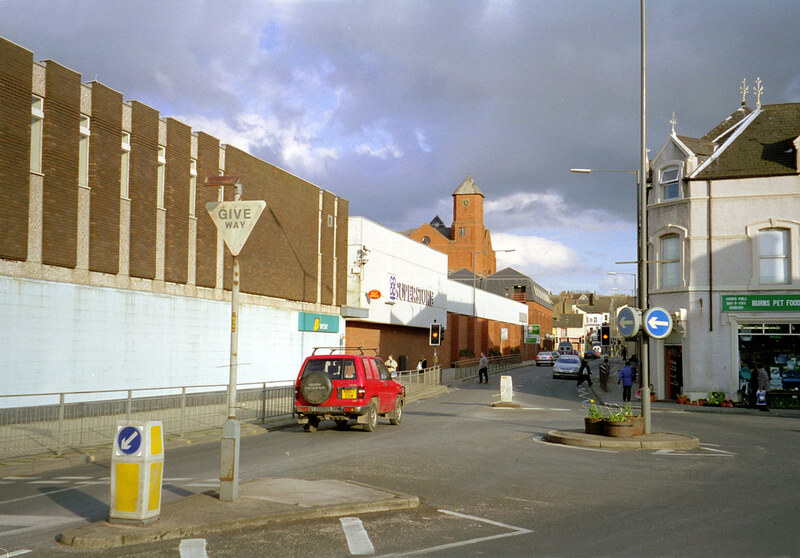 To the north and west, where physical barriers define the town centre, the way in which adjoining areas relate to and are connected to the town centre becomes an important issue. First impressions of the town vary considerably depending on the direction of the approach. The approach along the A66 for example, is generally very attractive, running from open countryside through attractive well-kept suburban areas, past Curwen Park and into town. Unfortunately however, the actual arrival at Washington Street is marred by views of extensive car parks, the back elevation of the St John’s Precinct and the clutter of traffic-related paraphernalia. This one of the main focal points of the town and implementing change at this point must be a priority. The A596 also approaches through attractive suburbs and arrives in the town centre to a view of the impressive St John’s Church. Unfortunately however, the impact of the church is substantially undermined by foreground views of roadscape, a tyre and exhaust depot and poor quality modern buildings adorned with garish commercial signage. Approaching on the A597 is generally less promising, passing through extensive areas of industrial land and out-of-town retail parks. Although heavily planted and well maintained, this route gives a generic and sterile impression. 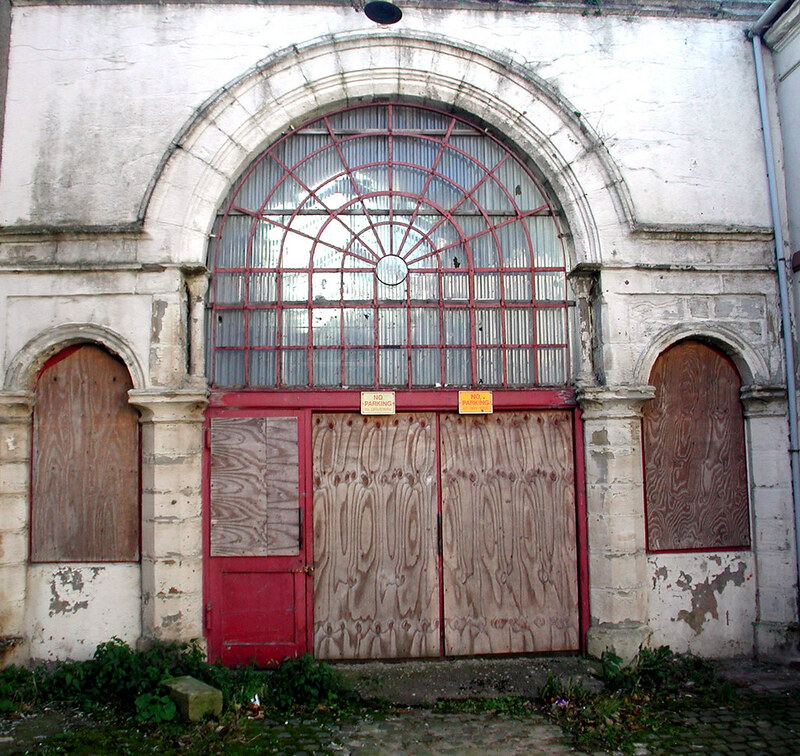 In addition, on arrival in the town centre itself the impact of potentially attractive historical buildings, for example around the railway station, is compromised by poor modern infill and vacant buildings. The approach from the north along the A596 is the route perhaps least likely to give favourable first impressions. The route passes through featureless countryside dotted with occasional industrial plant and small clusters of housing relieved to an extent by the series of landmark coastal wind farms. 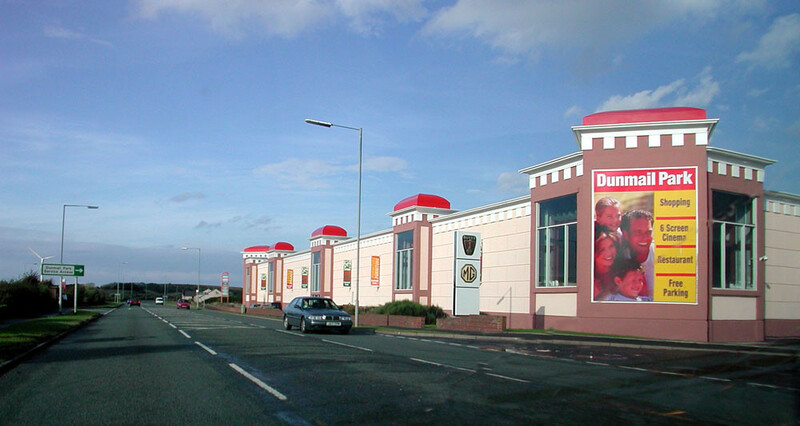 The route passes Dunmail Park Shopping Centre – a poor quality structure, generic in its styling and poorly integrated with its setting – which gives an especially poor first impression. 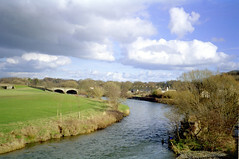 The route then crosses the River Derwent before arriving in an area of edge city – a formless area of open space with foreground views of semi-derelict stadia, Tesco and Allerdale House which undermine the potential attractiveness of the river and views to the town on raised ground to the south. Here, the actual moment of entering the town is not at all clear and this will require change. 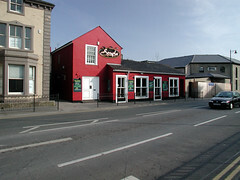 The first point at which there is any sense of arrival is in the Falcon Street and Station Road area. 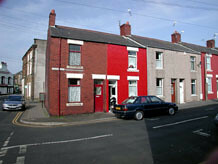 The town has a number of attractive and robust townscape qualities which arise in part from its unique setting and in part from the legacy of its origins as an industrial town. The town is made up of a range of distinct neighbourhoods and character types that form a diverse range of townscapes of different scales. Many of these neighbourhoods are largely intact and continue to function well today retaining their cohesiveness and charm. 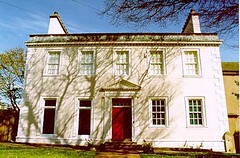 Portland Square and areas around Vulcan’s Park are some of the best examples of these. In other places however, built fabric has been eroded, and attempts to repair the damage with late 20th century infill have been unsympathetic and have failed to draw upon the successful attributes of the historic townscape. St John’s Precinct is the most pronounced example of this, where a single, mono-use, pedestrianised complex has replaced the traditional pattern of streets and individual buildings. The dense patterns of urban terraced housing provide a solid and valuable counterpoint to these high value areas. Central Workington is notable for the extensive areas of informal open green space and parkland along its northern edges, particularly the Cloffocks and Curwen Park but the town also possesses a range of hard urban spaces, formal parks and churchyards. Some of these spaces are well-kept and well-used, but in places the quality of environment, a lack of amenity and a minimal standard of maintenance means that spaces are not as useable or popular as they might be. Vulcan Park for example, is a neighbourhood park with an established role as a location for formal leisure activities as well as informal play and relaxation. 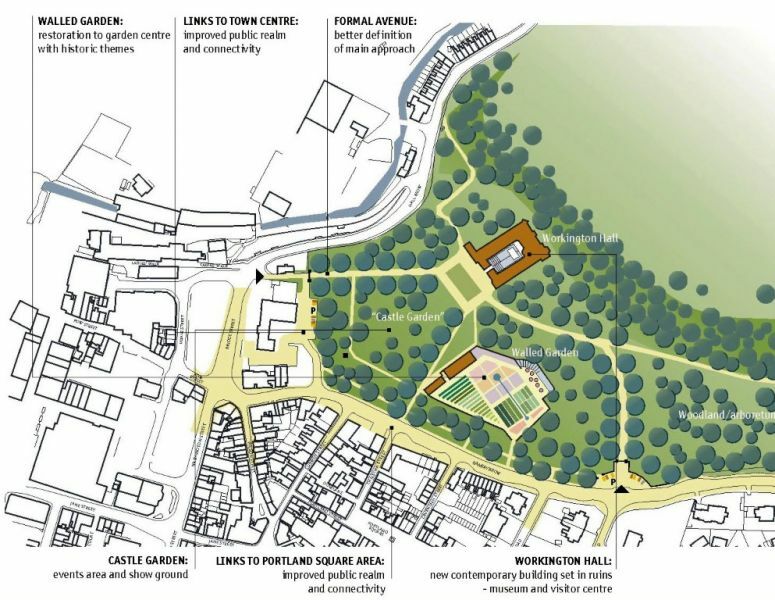 Other spaces however, such as St.Michael’s churchyard, the grounds of Bankfield House – and even Curwen Park – have less well-defined roles and would require further consideration if their full potential as public open space was to be realised. This is also true of certain hard urban spaces. There are several spaces in the town centre that have very attractive spatial qualities that could be exploited to turn them into small plazas or squares where cafes could spill out, produce could be displayed or people could sit. Unfortunately however, very few of these have been improved to create welcoming or attractive places to linger. Falcon Place, areas around and within the St.John’s Precinct and Market Place could all potentially be transformed into attractive urban squares but presently suffer from poor environmental quality and/or the absence of appropriate activity in surrounding buildings. 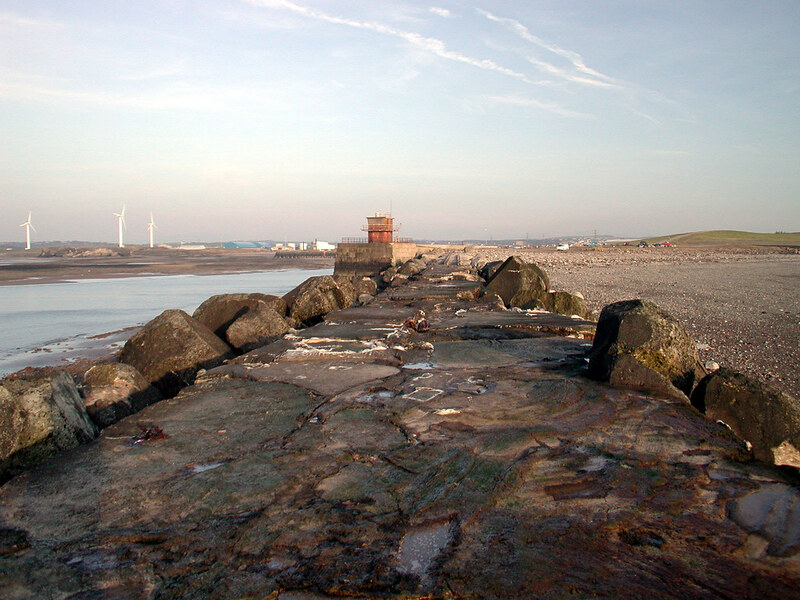 One of Central Workington’s most significant assets is the extensive water’s edge. 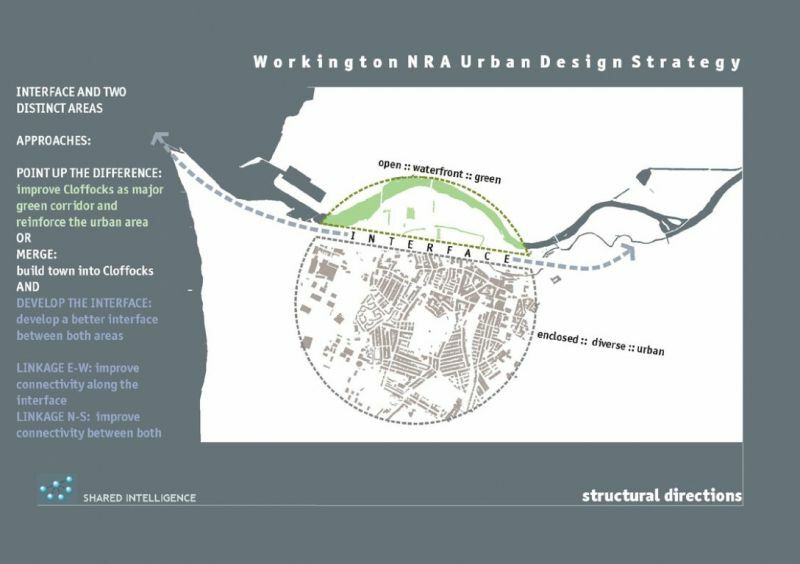 Workington is fortunate to have a river and seacoast providing waterfront environments ranging from the wild and natural to the industrial and urban. 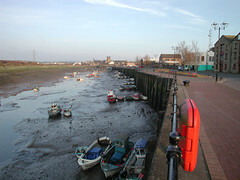 Much of the water’s edge is already accessible and active with housing, a harbour with boat moorings, footpaths, cycleways and places for fishing. 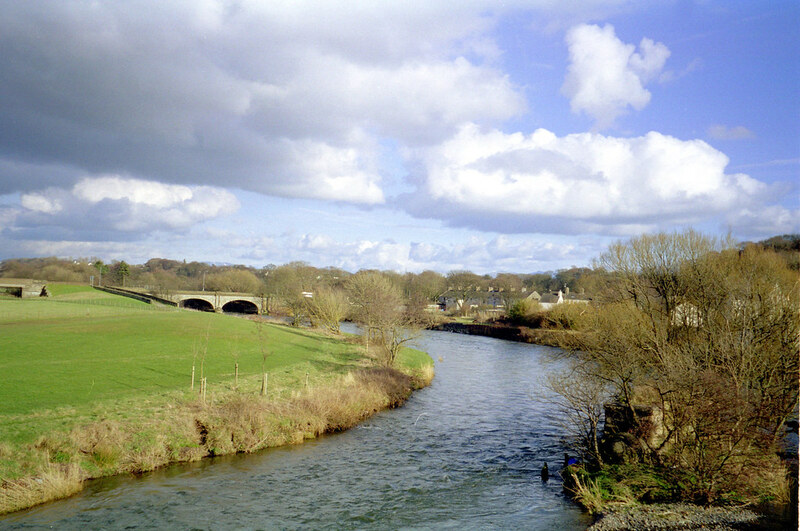 The character of the waterfront therefore varies considerably from the rather bleak coastal landscape of Derwent Howe, through the urbanised harbour area, eastwards through the edge city landscape of Tesco, Allerdale House, lorry park and town centre car parks to the more tranquil recreational areas of the cricket ground, walks and undeveloped river banks. The water’s edge has historically been a place of considerable change and as a result, the quality of environment along the river edge varies considerably and in places, inappropriate developments and treatments have created incongruous juxtapositions of environments. At the present time, the Derwent Valley has no clear identity or set of plausible defining characteristics – it has the appearance and character of an area that has been eroded over the years by developments that could not be accommodated elsewhere. A clearer development and open space strategy is therefore required to enhance areas of existing value, minimise the negative impact of recent development and establish where new development can contribute to the waterfront environment. 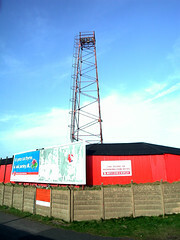 The town has a number of important and attractive landmark features. 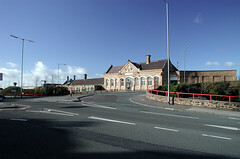 The brewery, St.John’s Church, St.Michael’s Church, the Community College and the ironworks building all provide distinctive and memorable vertical landmark features, but other important civic buildings, the bridges crossing the Derwent, the coastguard station out at the point and the windmills north along the sea edge also act as eye-catching features which add to Workington’s positive image. 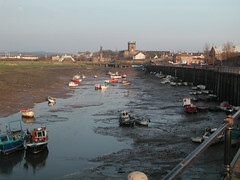 In the vicinity of the town itself, the change in level between the town centre and the Cloffocks provides some of the town’s most memorable views. From the Cloffocks there are attractive views to the town centre elevation and from the town centre there are expansive views over the Cloffocks. Because the low-lying area is so exposed to view from above, the Cloffocks have an inherently low capacity to absorb development without significant visual impact. Development in this area therefore requires a particularly sensitive design approach. Views from the town centre to the south and west are limited and despite the close proximity of the sea there is no view to the water. There are longer views to the north and east however, to a backdrop of agricultural land made up of fields and extensive belts of mature woodland. 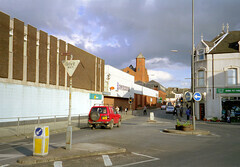 The pattern of pedestrian movement is most intense in the main shopping areas of the town centre and a number of important desire lines converge on this area from the surrounding residential areas. 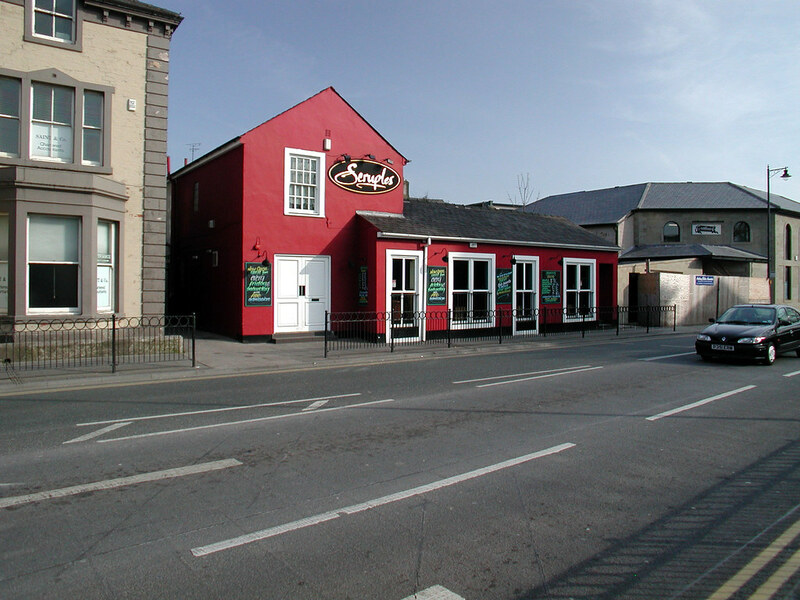 In addition there is a definable nightlife focus around the Washington Street and Portland Square areas where there is a concentration of pubs, clubs and places to eat. 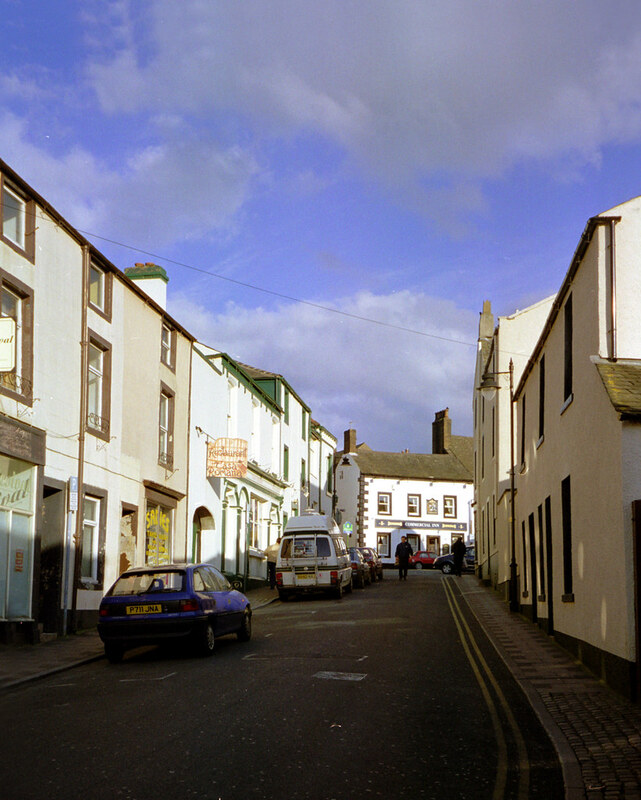 As in many historical towns, the sequential development and redevelopment of the town over time has led to the creation of a complex network of routes made up of broad axial streets, narrow lanes and hidden shortcuts. 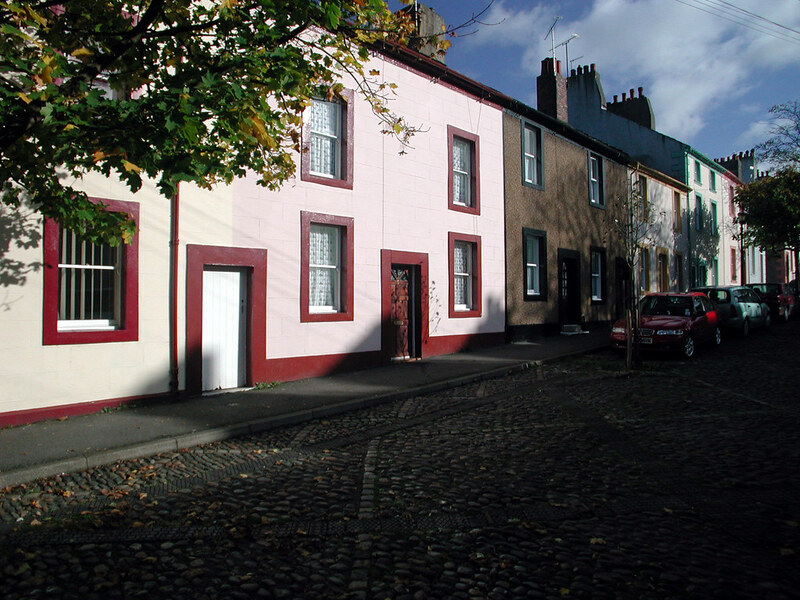 This makes the town highly permeable – in that it provides a wide choice of routes between potential destinations – but it also makes the town attractive and intriguing for visitors who are encouraged to explore the neighbourhoods of the town. 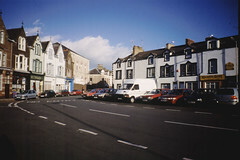 Certain parts of the town are heavily traffic-dominated. This is most problematic in the main shopping area where conflicts between pedestrian desire lines and vehicle routes are most pronounced. Washington Street, Oxford Street and Murray Road are perhaps the prime examples of streets where an appropriate balance between the needs of motorists and pedestrians has yet to be achieved. Important pedestrian-only areas include the St.John’s Precinct in the heart of the town and a disused rail line that forms a footpath link to the town centre from residential areas to the north and south. These areas provide important conduits for pedestrian movement to and within the central area, but in both cases the quality of the environment is below par and the lack of activity at certain times can make them can feel unsafe. It is unlikely therefore, that further pedestrian-only routes are the solution to vehicle-conflict in the town centre: instead the way forward may lie in achieving an appropriate balance between the needs of each. The study area contains many opportunities for change in the form of both sites and particular buildings. 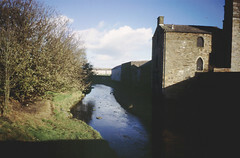 These generally lie along the interface between the built up area of Central Workington and the River Derwent corridor itself and in the town centre. To the west of the railway running from Stanley Street to Derwent Hove, the harbour, quayside and seafront is an opportunity area for mixed use development as well as active and passive recreation and leisure. 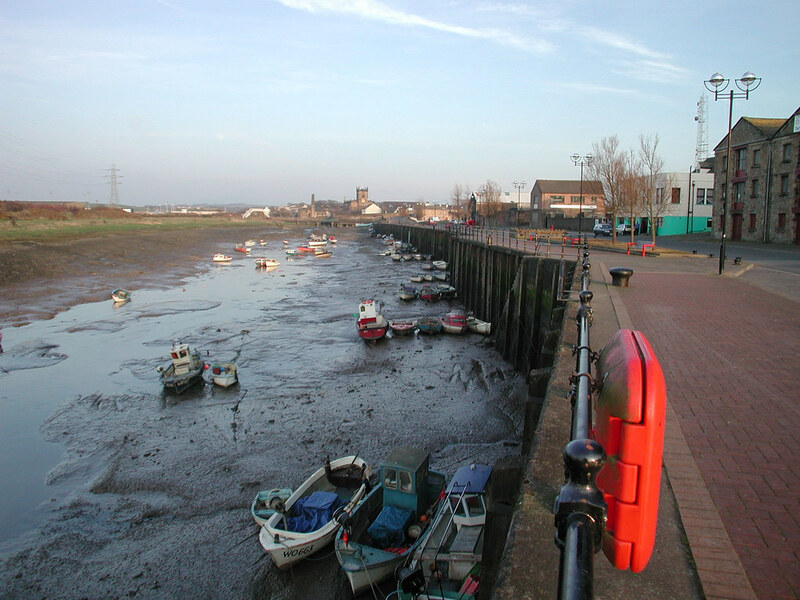 Water related facilities are currently limited to boat moorings in a small inlet and in the harbour. 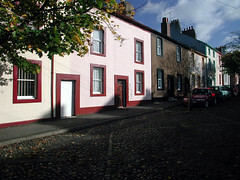 A variety of development sites exist along Town Quay and Stanley Street with a larger site on Solway Street. East of the railway from the Station area along Church Street to the Council Offices, a restructuring of underused open space areas, roadscape and potential development sites could bring about a more positive and integrated edge to this part of the town. This could take place through new residential development, re-use of existing vacant buildings and improved public realm. 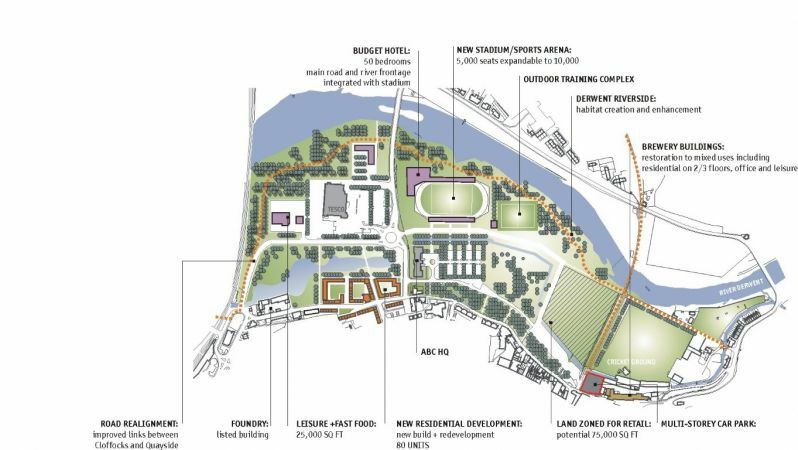 The Cloffocks and the River Derwent valley from the Rugby Stadium eastwards to the Cricket ground is a major opportunity area and has already been the focus for a number of development proposals. 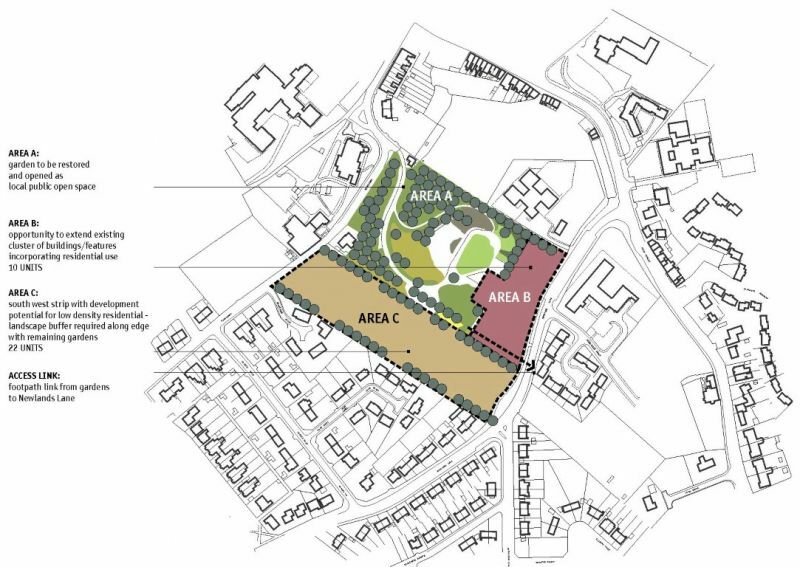 These include plans for the expansion of Tesco, the construction of a new stadium and sports complex to combine the three existing facilities, and retail development on the Laundry Fields site adjacent to the town centre. 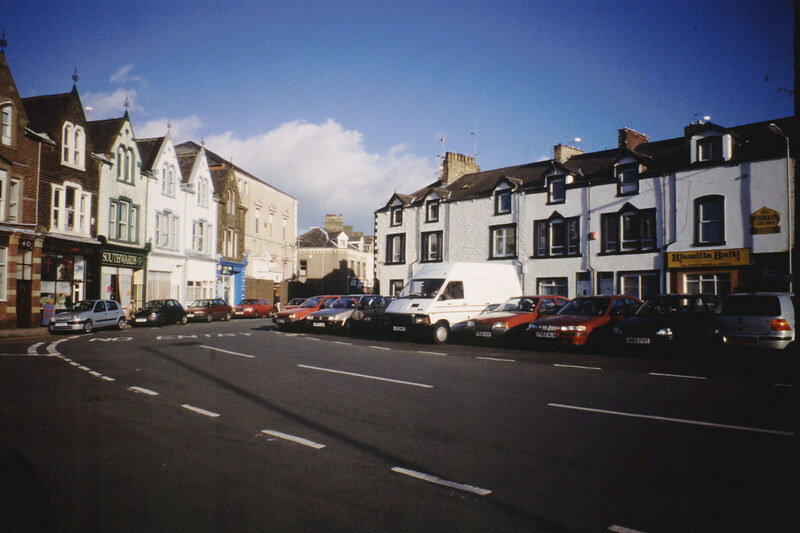 In the town centre itself, St John’s Precinct is the subject of redevelopment proposals and to the east, Curwen Park, Workington Hall and the Portland Square Conservation Area have all been the subject of studies and proposals for re-use, change and improvement. There is therefore great potential and opportunity for change in the study area, concentrated particularly along the Derwent Valley. 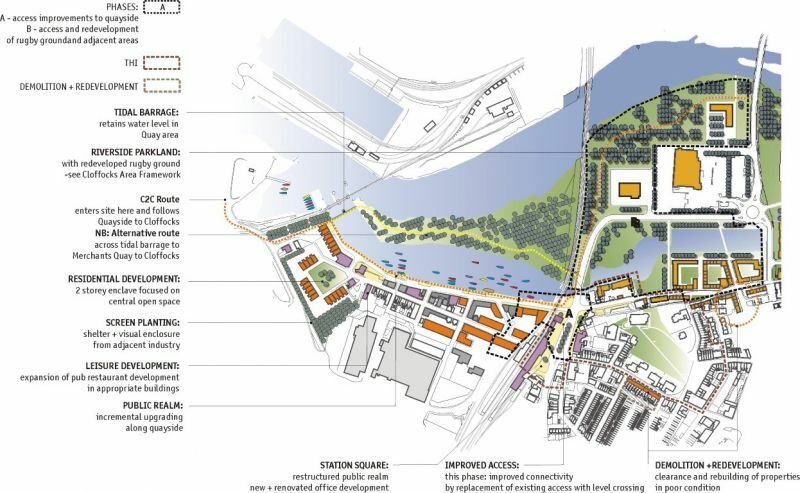 The scale of opportunity suggests that change could bring about a radical restructuring of the area based on a series of new waterfront and riverside developments with a mixed use and leisure focus. However, all of these opportunities represent a considerable volume of development and change in an area where development pressure is not particularly high and it may therefore be difficult to secure a scale of development which will bring about self-sustaining change. The generalised land use of the study area shows an interesting configuration of functional zones. The town centre is surrounded to the east, west and south by residential or mixed use areas and also connects, albeit less directly, to Vulcan Park, a valuable urban green space. Industrial and out-of-centre retail is concentrated in the west of the study area. The mixed use area comprising of the Cloffocks, Derwent Valley, Quayside and Seafront forms the northern edge of the study area. In terms of land use dynamics and pressure for change, mixed use and residential areas abutting the town centre are relatively stable and are unlikely to change significantly in the foreseeable future. However the town centre and the mixed use zone identified along the Derwent Valley can be considered to be ‘soft’ in development terms. These areas are where most of the development interest in the town is focused and where most of the opportunities for change identified above lie. Also, they represent the areas of the town most in need of change. 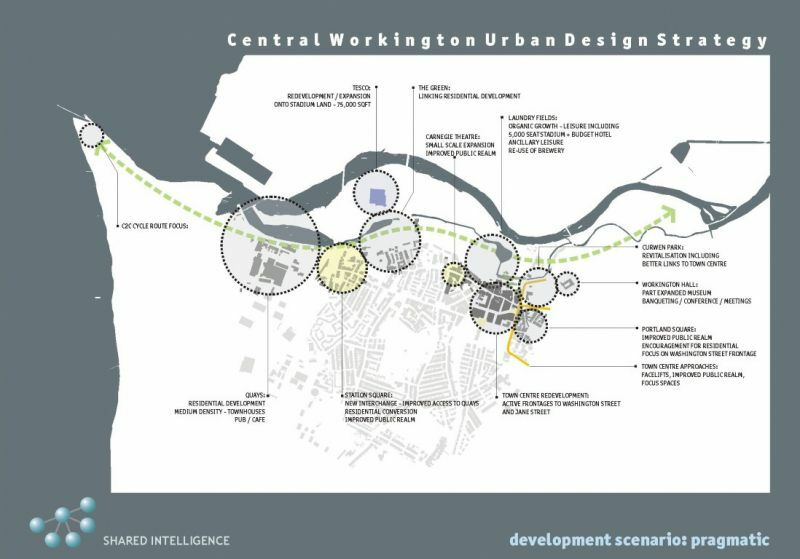 As the diagram shows, the study area of Central Workington is made up of two parts – a built up zone which is diverse, enclosed and urban, set against a less developed river valley zone which has a more open green character. 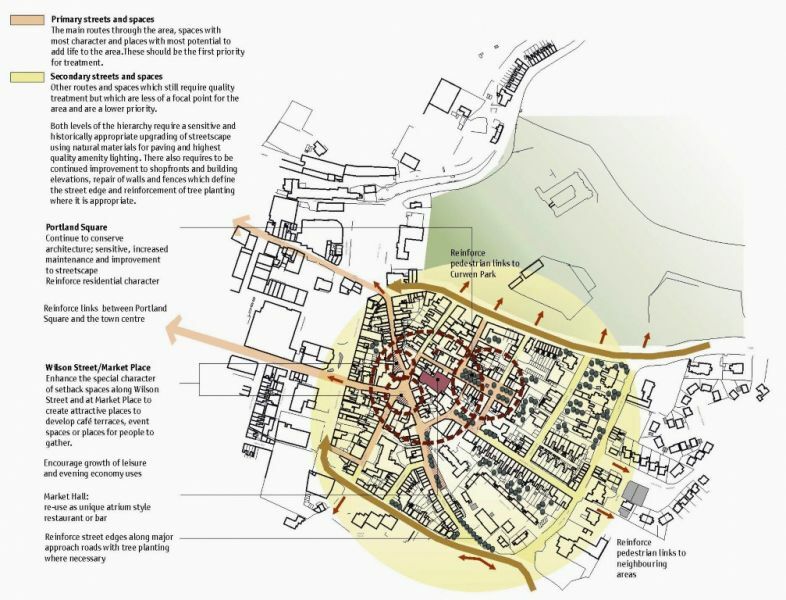 The built up area has many desirable characteristics such as density, grain, enclosure, good townscape, heritage assets and mixed use. The river valley zone is a valuable green resource containing the river and other watercourses, substantial recreational resources, trees, footpaths and some outstanding views to the surrounding countryside as well as of the town itself. Moreover, the edge or interface between these two areas becomes a critical line in determining the starting point of an urban design strategy. 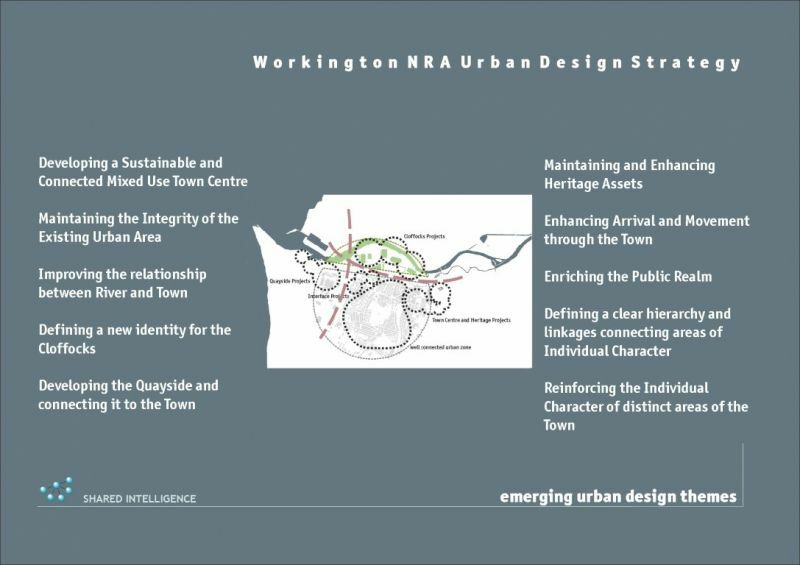 In theory, it would be desirable to maintain the essential character differences and qualities of these two distinctive parts of Central Workington, pointing up the differences between them and reinforcing the interface between the two. In practice, much of the green, open riverside character of the Derwent Valley has already disappeared through the development of stadia and more recently by the construction of Allerdale House and the Tesco supermarket. It has clearly been easier to develop large scale developments in the Derwent Valley than in the dense built up area of the town centre. Nevertheless, the principle of maintaining and enhancing the separate characters of the two zones is preferable to merging them and the development opportunities identified above could provide a means of achieving this. 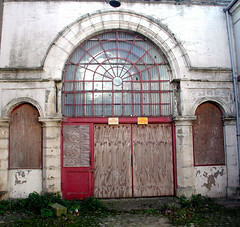 One of the striking features of Central Workington is poor physical connections and a lack of integration between important parts of the area. 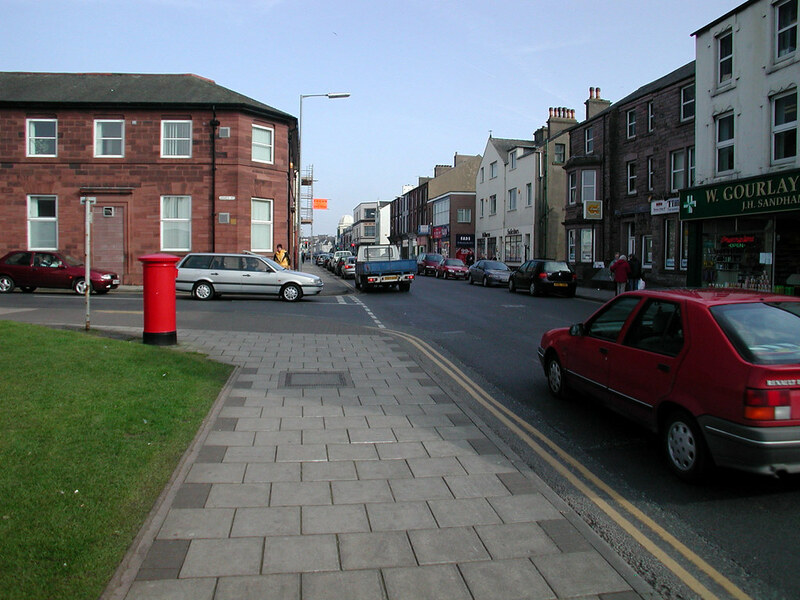 While the town centre is relatively well integrated with adjacent residential and mixed use zones, major development opportunity areas such as the Quayside and Seafront, and the Cloffocks and Derwent Valley are separated from the town centre and from each other by man-made elements such as the railway, by natural features such as changes in level or simply by distance. 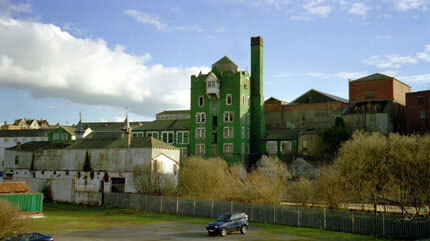 Central Workington is a complex area of great contrasts. Although the majority of the built up zone is attractive and contains areas of great value and potential, there are significant low points, especially along the northern edge of the area and in the retail core itself. 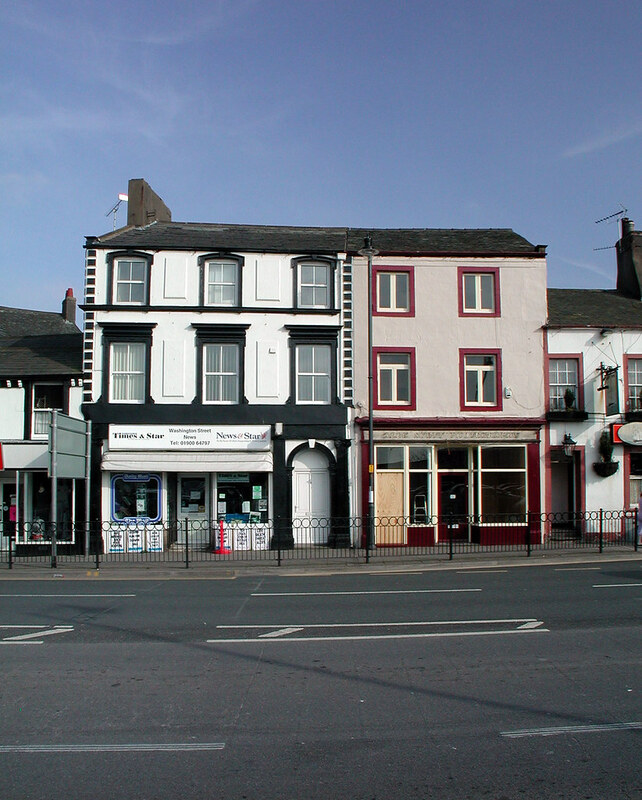 The Derwent Valley is one of the town’s greatest assets but its confused jumble of inappropriate uses and developments undermines its integrity and creates a poor impression of the town. So while the urban area and the river valley both require new strategy directions, development proposals and the maintenance and enhancement of valuable assets, the issue of connectivity and linkage between the two areas and their assets also needs to be addressed.